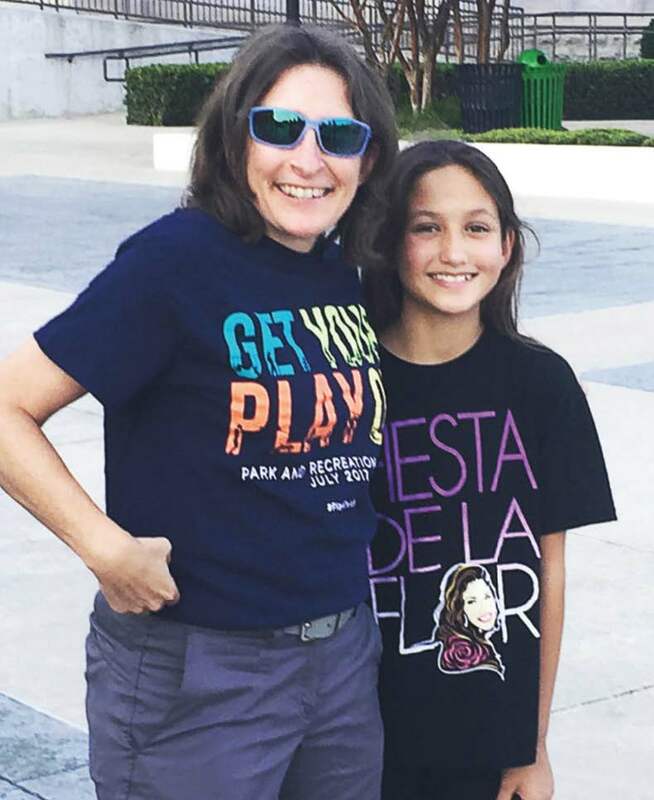 Stacie Anaya may have little in common with actress Amy Poehler, but as the director of parks and recreation for Lewisville, Texas, she does feel a certain kinship to the comedienne’s former role. “In some ways, you could say that I am the real life Leslie Knope,” she said with a laugh. 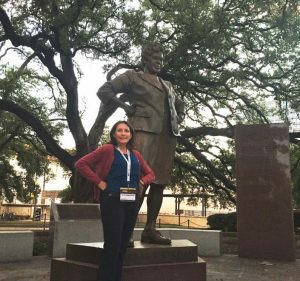 A self-described “park kid,” Anaya fell into her career not long after receiving her degree in public administration from Texas State University. In two decades, she has amassed an impressive resume that includes stints at Eagle Pass and Corpus Christi along with several professional affiliations that help her perform her duties in her current position. Anaya is a committed professional who not only believes in the power of play, but also in the important role parks play within the community, which requires them to be the best they can be. One of those changes has been in the way technology has impacted the field. Anaya said electronic algorithms enable personnel to collect data and measure efficiencies more effectively while websites and social media offer parks a broader spectrum of outlets in which to deliver their message to the public. “Naturally we are aware that people are often distracted by their personal electronic devices, and we certainly want them to look up every once in a while to take in the world around them, but we feel there is a way to link all of those things and draw more people to the park,” she said. It’s all about balance, which is something the department has been striving for over the years and something Anaya is constantly working on. When she was a kid, she remembers that her neighborhood’s parks were places where families could enjoy a little downtime and kids could create their own fun. However, in the early 2000s, many parks shifted focus to more structured programming while self-engagement seemed to go by the wayside. Anaya is a firm believer that parks should not be a sometimes experience, but an all-the-time experience. Local parks are just as important as those at the state and federal level and those who work at local parks play a big role in the grand scheme of things. She said she often impresses upon the grounds crew that they create a safe place for families and kids to go, and if they miss the opportunity to connect them to the natural environment, then it is a break in a longer line of connection. “They may be the grounds crew, but they are helping to save the world just by doing what they do,” she said. 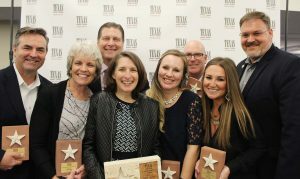 Anaya has worked with a number of state boards and commissions to ensure that her parks are the best that they can be, and she has collaborated with a number of organizations and entities to identify best practices, trade ideas and locate partners who may be able to offer something special to the park experience. She said unlike other industries where competition causes departments to keep their cards close to the vest, those in the parks and recreation field are open to sharing information because they believe everyone should have access to great parks. “Everyone opens their doors to let folks see the behind the scenes work and that helps me as a professional give back to the industry I love,” she said. Some of her collaborations include work with the Lewisville Lake Environmental Learning Area and the Army Corps of Engineers. Anaya said she is currently working on a partnership with the Audubon Society’s vice president of the Central Flyway to create new programming about diverse marsh and wetland habitats, which birds rely on for their annual migration journey. Her department is in the process of building an 85,000-square-foot, multi-generational rec center called Thrive, and she is also working with the National Recreation and Park Association, the Trust for Public Land and the Urban Land Institute to ensure that there is a great park within a 10-minute walk of every person, in every neighborhood and in every city across the nation. 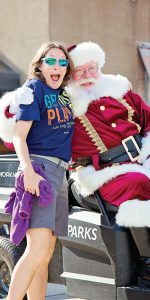 “Not every person will get their park experience at Yosemite, but for some kids, their local park is Yosemite and that’s why it has to be accessible and the best it can be. If they have the benefit of exploring a habitat, even at the local level, then they have an investment in the continuum of parks that goes up to the federal level. When they do that, then perhaps they will learn how they can positively impact those systems and ultimately the world,” she said. Anaya said parks connect people in ways few can imagine and she is proud to be a part of them. When her father came to visit her office for the first time, he commented that he and Anaya’s mother used to play co-ed softball on the diamond just beyond her window.